NEW BEDFORD, Mass. 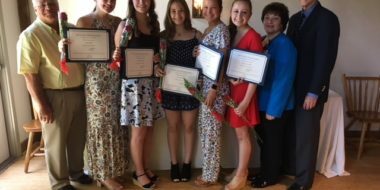 — Southcoast Health announced today that the St. Luke’s Hospital Auxiliary has awarded $5,000 in college scholarships to five Greater New Bedford students who are pursuing a career in healthcare. 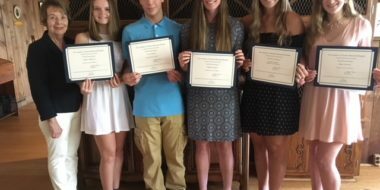 The scholarships were presented by Shauneen Crane, Scholarship Chair for the St. Luke’s Hospital Auxiliary, during its annual luncheon on June 14 at the Century House in Acushnet. 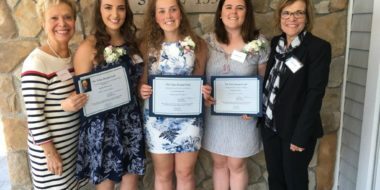 Lindsey Bedard, a graduate of Dartmouth High School, will be attending Hofstra University where she will begin studies to become a physician’s assistant. Emily Brigham, a graduate of Bishop Stang High School, will be entering the University of Notre Dame where she has been accepted into a biology-pre med program. Jacqueline Lux, a graduate of Greater New Bedford Regional Vocation Technical High School, will enter the University of Massachusetts Dartmouth to begin studies in dentistry. 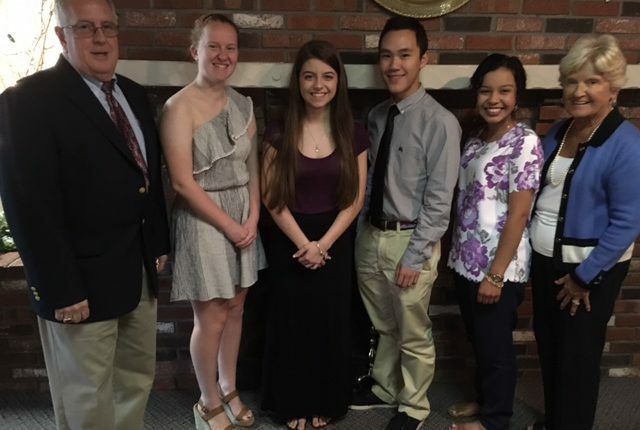 Liem Phan, a graduate from Bishop Stang High School, will be attending Seton Hall University to being studies to become a physician. Amber Sousa, a graduate of Bishop Stang High School, will be attending Emmanuel College to pursue a career in biology with a health science concentration. The St. Luke’s Hospital Auxiliary is a non-profit organization whose purpose is to render service to St. Luke’s Hospital, its tax-exempt subsidiaries, its patients and to assist in promoting the health and welfare of the community. Joining the Auxiliary is a great way to become involved in your community hospital. Members serve as ambassadors to the community on behalf of the hospital. For more information, call 508-973-5752.